IF the first revolution does not succeed, try again. 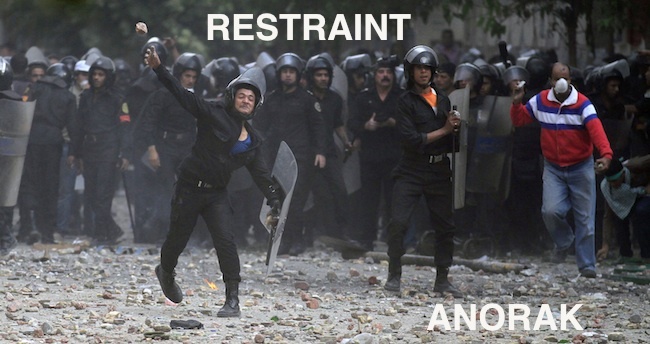 In Egypt there is more trouble. At least 20 people have died in fights with the military rulers’ police force. President Mubarak was deposed in February but the Supreme Council of Armed Forces (Scaf) are in charge. The fight for freedom goes on. The state says it is nto suing live ammo. But in The Independent, Dr Ahmed Atif claims to have seen the bodies of four men killed by live rounds. 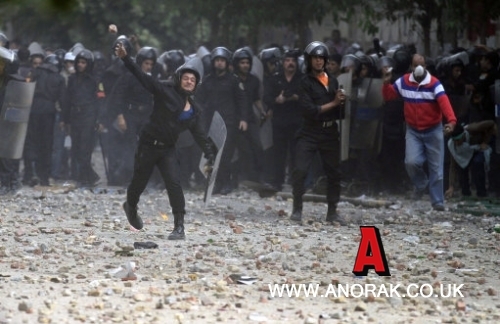 Scaf says the police have only rubber bullets. They thank their police for showing “self-restraint in dealing with the events“. Send of the bread rolls – the people need new helmets!